Unearthed Paints, maker of non-toxic and VOC-free paint, just announced a new natural Hard Wax Oil finish for wood floors, cork floors, and stone in interior surfaces. 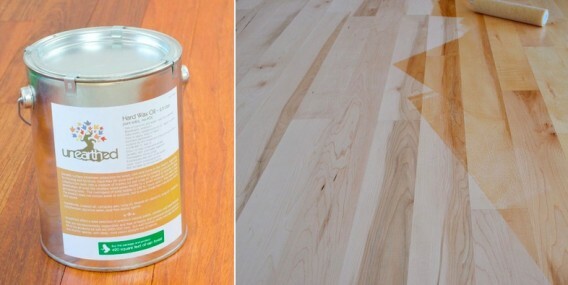 It’s non-toxic and contains zero VOCs and “provides a natural, breathable silky-matte finish,” according to a statement by Unearthed Paints. Hello, my name is Lisa. I am (gulp) a modernist who loves color. There I said it, the truth is out! I enjoy the nuances of greens, blues, yellows and my all-time favorite aquamarine. And not just on a throw pillow, mind you. I long to see it up on my walls and even (dare I say it!) on the exterior of my house. Unfortunately for a color-lover like me, I live with a typical modernist devoted to white and grey. But a girl can dream, as I’ve been doing since discovering Unearthed Paints, a gorgeously-hued new line of natural paints and wall coatings.